This gorgeous quilt is being raffled by the Friends of the North Fork Community. The Drawing will be held on September 1, 2013. At only $1 per ticket, you too have a chance to win this beauty. Stop by the library Saturday 10 am to noon to purchase your ticket. 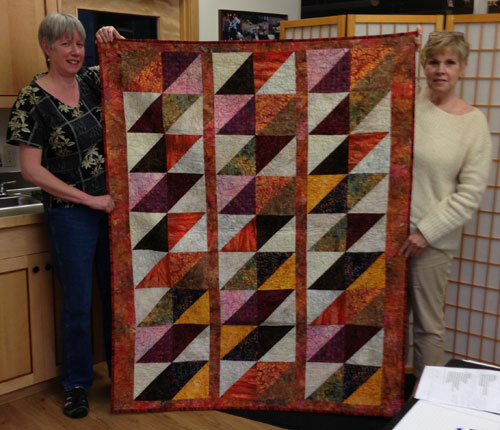 Volunteers Suzi Soderlund & Robin Walker display our Autumn Raffle Quilt. This entry was posted in Library Fund Raising and tagged community library, Fund Raiser, North Fork Community Library, Quilt Raffle, volunteers. Bookmark the permalink.